A fascinating insight into "The Life of Bees and Beekeeping" from Andy Hardy-Smith. Visit to Nigel Burton's Tractor Collection, Thorpe In the Glebe. 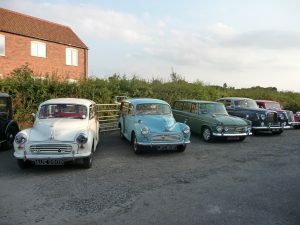 VOBMG members and partners join us for our Summer Social with Hog Roast and vintage vehicle display at Canal Farm. Allan Grey returns to give a talk and slide show of his time in Bhutan. A follow up from the talk given at VOBMG on his Mongolia trip a few years ago. Vale of Belvoir Machinery Group. All rights reserved.